This is a high-rise community property with everything you need under one roof! Juhl offers distinct living options for all levels of needs. 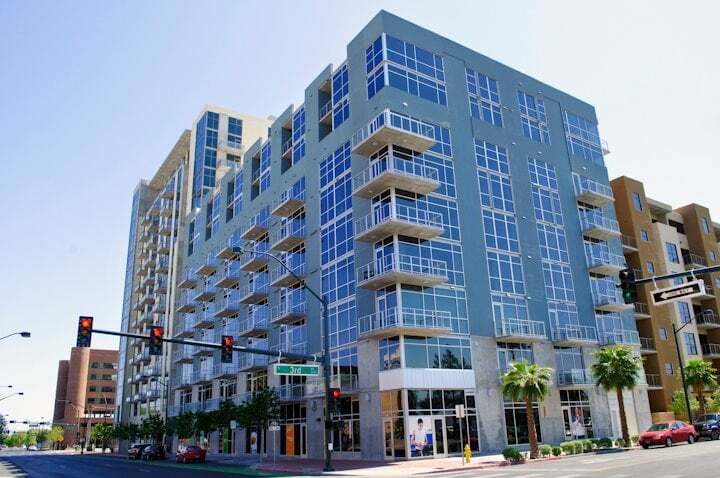 A convenient downtown location just North of The Strip, this urban development consists of multiple buildings including a 15-story glass tower. Units: 600 sq. ft. to over 2,000 sq. ft.